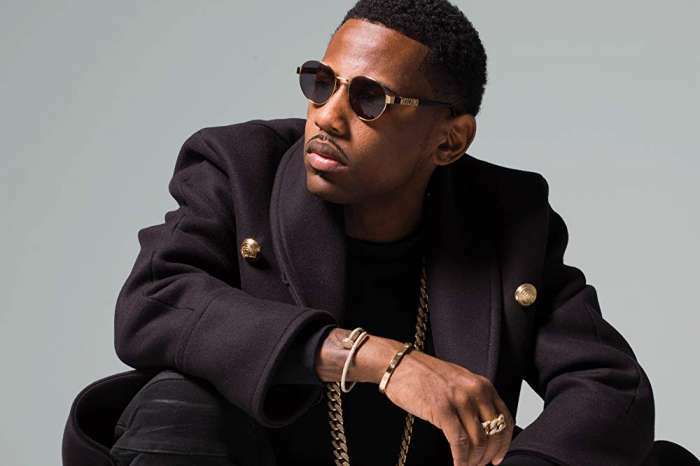 Fabolous was caught on film in an aggressive altercation with his girlfriend and her father on the 28th of March. As it was previously reported, the rapper was arrested for aggravated assault and making deadly threats. A video released by TMZ shows the 40-year-old artist shouting down his girlfriend, Emily Bustamante, and her father, as bodyguards attempt to split it up. Fans will remember Emily from her time on the Love And Hip-Hop New York edition. In the video which we have for you below, Bustamante’s dad is screaming at the rapper and calling him a coward, as well as repeatedly saying that he’s threatening his daughter. Perhaps, the most tragic part of the incident is that the former love-birds have a family together, making it especially difficult for the children. The old couple shares two sons, Johan, and Jonas, who are 10 and two respectively. When she started to film the rapper, Fabolous became enraged and began threatening her. He probably knew the video would soon go viral, and further damage his reputation. The footage released by the organization comes after the 40-year-old turned himself into the police station following a fight between the two which ended in busted teeth. Their relationship has been fraught with conflict and violence, according to multiple reports. Fabolous allegedly knocked out two of Emily’s front teeth after punching her in the face seven times. Bustamante’s dad knew the situation was bound to get even worse, as he went to the couple’s home to grab two handguns, possibly to avoid having someone get shot. The incident took place while Bustamante was arriving at the house to remove the weapons. Fabolous And Emily B Tied The Knot In Secret? – Here’s Why Fans Are Convinced!